As we have discussed in many recent articles, the opportunity to flip houses is strong in many markets. Factors related to the economy, demand from millennial home buyers and lagging new construction indicate this trend will continue even as many local markets start to stabilize. Executing a successful flip in your Self-Directed IRA LLC or Solo 401(k) plan can do great things for the value of your plan, but like many things in life and investing, success takes planning and proper execution. Following are some of the key things to keep in mind if you choose to pursue this type of investing. Before you start writing offers, it is crucially important to understand your local real estate market. Where are homes in demand? What price range of homes are selling quickly? Are other investors having success flipping in certain parts of town? And of course, knowing what you can expect a well-rehabbed property to sell for in the specific neighborhoods you are considering is key. The end result of your flip will be a move-in ready home. Like any other product, you need to know what demand there is and what you can expect to sell for. There are lots of public data resources that can help with this kind of research, but generally speaking, having a savvy realtor who is specifically familiar with home flipping will be your best source. “You make money when you buy.” This is a generally accepted fact in real estate flipping, and with good reason. 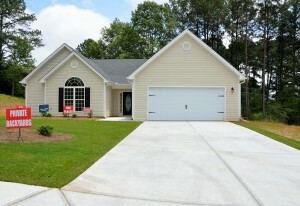 The finished home you create will sell for a certain amount based on size and location. While you may be able to boost that amount slightly with a quality remodel, no amount of shine or savvy marketing will take a home too far beyond is true market value. This makes finding the right property critical. You can source property in many ways, but the use of a self-directed IRA or 401(k) does limit your involvement in the process to some degree. You can certainly purchase at auction or from another investor who may be wholesaling homes. You can purchase through normal real estate channels as well. There are also many turn-key real estate operators that source discount properties and run the rehab for investors, and your checkbook IRA could go that route. What you want to be careful of is not to be viewed personally as providing services to your plan, so running an extensive marketing campaign such as mailers or bandit signs and actively pursuing property leads personally would be a no-no. Thoroughly and accurately evaluating whether a property you find will make a good flip is one of the most critical steps in the entire process. This is why step one is so important, because it will tell you what you can actually expect to sell a finished property for. You then need to work backwards from there to ensure that the costs associated with holding, rehabbing, and selling the property, as well as the potential impact of UBIT taxation to your IRA or 401k will still leave a sufficient profit for your plan. Many investors use the 70% rule, which stipulates that you should only purchase a home to flip if you can do so at 70% of its after repaired value, factoring for the cost of the rehab work. So, if you were going to purchase a home for $80,000 and rehab costs are expected to be $20,000, then you have to be able to sell that property for about $142,000 to meet the 70% guideline. So, in addition to knowing what final sales price you can expect for a home, you also need to have a very keen idea of what the rehab costs will be. This is certainly something that is easier to do with experience, but you don’t necessarily have to have that direct experience yourself. You can consult with a skilled mentor or make sure you have a quality contractor on board early in the process who can give you a good idea of the rehab costs. Adding some contingency buffer such as an additional 10-20% of the rehab costs is always a good idea. In situations such as foreclosure auction properties where you do not have the opportunity to fully inspect, you might want to increase this buffer amount. The bottom line is, if your plan pays too much for a property, it can turn out poorly. If evaluating the numbers on a deal is the most important step to a successful flip, having a detailed scope of work for the rehab is a very close 2nd. Time is money, and the quicker you get your plan’s flip home fixed up and back on the market, the better. Having a clear plan for all phases of the rehab process will help you to keep on-task and on schedule. Equally important, a good project plan will eliminate the potential for confusion between you and your contractors as to what level of work needs to be done. If you simply tell the contractor to paint a room, you will get what they think that means. If the result is less than you expected, then you are potentially looking at lost time and additional cost. If you specify what color, what finish, whether the walls and ceiling should be the same color or different, and whether the trim should be done or not, then you can expect to get what you asked for – both in terms of an accurate estimate up front and delivery of the service. This holds true for every room in the house and every phase of the construction. There are a lot of good resources out there for creating a project plan, and the level of detail you choose will vary based on your experience, the relationship you have with your contractor(s) and the level of work the property requires. A general rule here, however, is that more detail is better. Of course, not all project will go exactly according to plan, and you can pretty much expect to encounter at least a few hiccups along the way. But, if you have a good plan in place, it will allow you to much more effectively address the unexpected and adjust accordingly. Once your contracting work is done and the home is nice and fresh, step back and appreciate what a nice transformation has taken place. When you stage a home for sale, a second transformation of almost equal magnitude occurs. That clean but empty space now becomes a welcoming home that someone can imagine living in. Not all potential home buyers have the vison to imagine what they might do with the blank palette of an empty house. When you show off the potential of a space with light furnishings, some lights, and artwork, you make the home significantly more appealing to a much broader range of buyers. Flipping houses is selling a product. Your product deserves to be well marketed, and that should include staging, perhaps a little work on curb appeal in the landscaping, and high quality photos for your listing. A well marketed home will attract a large pool of buyers, and may fetch a higher price as a result. It will certainly sell more quickly than a vacant home would. Remember, you do not need to make the house look like it jumped out of the pages of a home design magazine or spend a bunch of money. A simple and sparse staging, perhaps just in a few key rooms can make a huge difference in the marketability of a property. Yup, pretty self-explanatory. The payday for your IRA or 401(k) comes when the house is sold, so you want to do everything possible to ensure that day comes quickly. Work with a quality realtor familiar with the neighborhood you are selling in, and make sure they put a real effort into showing the home, not just listing it. If there was good margin in your property, be aggressive and list it for sale slightly below what you think it’s true market value may be. This can ensure a fast sale, and may even bring in a multiple-bid situation if you can create something that is highly desirable, especially for first time home buyers. If you plan to do multiple flips with your self-directed IRA or Solo 401(k), the project does not really end when the for sale sign comes down and the check is deposited into your plan account. As you plan for future projects, you will want to learn from what worked and did not work on this project so you can improve your processes going forward and be more effective. Keep in mind, when a tax-exempt entity such as an IRA or 401(k) is engaging in a business activity on a regular or repeated basis, UBIT taxation will come into play. Be sure to check with your CPA to determine if this will be a factor, and to evaluate the impact of this taxation on the net return on investment for your plan.